Counsel for former Amaya Inc. president and CEO David Baazov has filed a motion to dismiss all charges against Baazov in a long-running, high-profile case centered on allegations of inside trading. According to the filing, the charges should be dropped due to the length of time the case has already taken, with another delay in the case now a strong possibility. The motion to stay the legal proceedings, made on behalf of Baazov and five other defendants, was made back on October 17th according to court records which only recenly have come to light. The motion comes prior to the official beginning of the main court-proceedings portion of the case, which is scheduled to begin next month. The motion to dismiss stems from an ongoing dispute over the less-than-speedy distribution by Quebec’s securities regulator, Autorité des marchés financiers (AMF), of much of the evidence obtained during the still-running investigation. The insider-trading case involving Baazov, two of his closest business associates (including one former Amaya exec), and two other business entities is itself just one smallish part of a larger overall investigation centered on Baazov, his older brothers, and Amaya. In September, in response to ongoing discovery requirements, the AMF provided the contents of a large hard drive previously seized in connection with another part of the alleged insider-trading scheme. That part of the investigation, dubbed Project Bronze, involves another couple dozen or so individuals who also illicitly profited from corporate deals largely centered on Amaya’s active series of mergers and acquisitions earlier this decade. That active corporate dealing included the 2014 reverse takeover of PokerStars parent Oldford Group, which included stock-price srges so suspicious it triggered the AMF investigation. 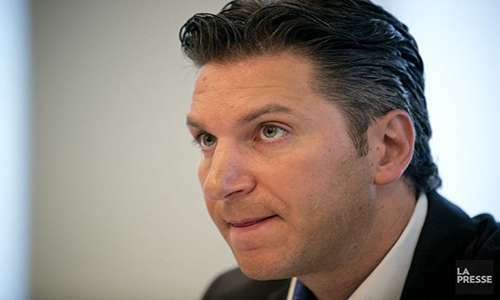 No charges have yet been filed in the Project Bronze investigation, though the materials obtained by the AMF there have broad overlap with the case involving David Baazov. Therein lies the problem, according to Baazov’s counsel, Sophie Melchers of Norton Rose Fulbright. Melchers asserts that the data from the hard drive that the AMF provided in September contains 16 million data “items,” and that it amounts to a healthy 3.7 terabytes of data. According to Melchers, it’ll take a CAD $505,000 expenditure and four to five weeks of data-processing time just to convert the data into a searchable, usable form. From there, Baazov’s defense team might need another six months, according to Melchers’ claims, to see what from the data might be of use to Baazov’s defense. Melchers described such a search as being imperative to the defense of Baazov and the other defendants, and according to the filing, described it as the latest example of “piecemeal, disorganized and tardy disclosure of the evidence” by the AMF. “This case is a textbook example of a penal proceeding that was instituted precipitously, before the investigation was sufficiently advanced and without a significant amount of relevant evidence being gathered, much less analyzed,” wrote Melchers, as part of her filing. According to a Toronto Globe & Mail update, if an additional delay was granted to allow Baazov’s defense a full six months to study the data, that would push the official start of the court trial well into 2018, perhaps early 2019, and make it as much as 37 months from a projected late-2018 judgment date back to the first filing of charges. Quebec’s speedy-trial provisions, affirmed in a recent Supreme Court ruling, generally call for no more than an 18-month delay, though extenuating circumstances, including the discovery of new evidence, allow for trial dates to be pushed back, repeatedly if necessary. Also up for debate is whether the delays are entirely the AMF’s doing, despite Melchers’ attempts to demonize the regulator. 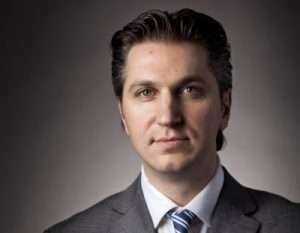 According to the filing, Baazov’s counsel believes that the announcement by Baazov in February of 2016 to buy Amaya and PokerStars with the help of outside investors forced AMF’s hand, inducing them to bring the formal charges against Baazov and the other defendants before the investigation was complete. However, Baazov’s bid was soon discovered to be at least partially fraudulent: Of the four international investment firms he claimed as backers, one swiftly repudiated his claims, while another literally no longer existed as business entity. Amid that nonsense, the Baazov bid was struck from consideration by Amaya’s board of directors. Months later, the firm changed its name to The Stars Group, seemingly trying to distance itself from the Amaya / Baazov associations, though as long as Baazov himself remains in the news such dissociation isn’t really possible. But the whole episode calls into question the whole concept of “clean hands,” in particular if any connection can be drawn between the partly bogus Baazov bid for Amaya and the ongoing AMF case. Baazov didn’t even announce his planned takeover attempt for Amaya until several months after the insider-trading charges against him were announced, and there’s little reasonable doubt that such a bald takeover attempt amid an insider-trading case added even more complexity to what the AMF has described as its largest-every securities case. Given all these extra factors, it’s unlikely that Baazov and his co-defendants will succeed in this latest effort to have the case dismissed on a technicality. Far more likely: the start of the trial will be pushed well into 2018. Or perhaps even later, depending on what else emerges.